Now that the temperature outside is dropping, I am on the hunt for more warm-blooded recipes; a cozy Sunday afternoon by the fire with a Leo Tolstoy book, or maybe just a Bon Appetit. 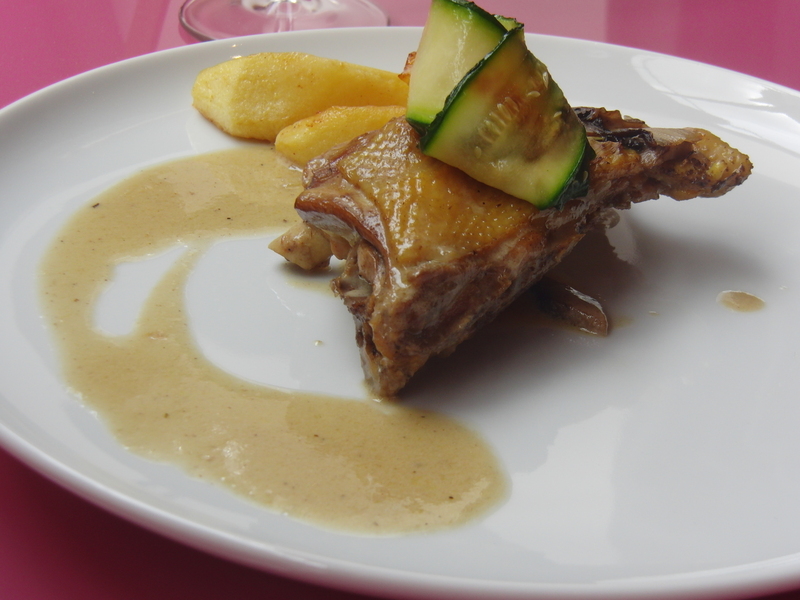 While I would regard this brandied Normandy style chicken as a weekend meal, it was just another weekday lunch in Paris at Noemie’s cooking school on Rue Nollet. The Parisians nary skimp on any meal, no matter what day of the week. 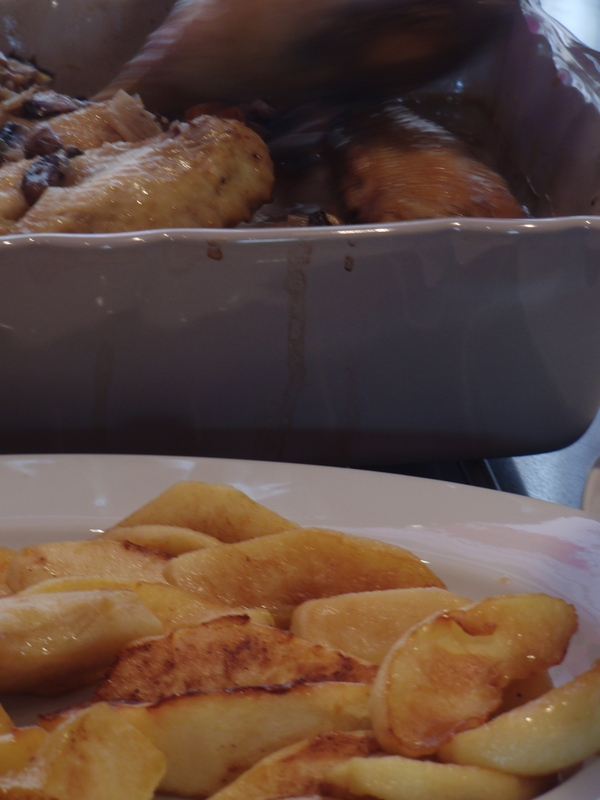 There is always time to sit down amongst friends and family and relish the soft comforting apples, the tender mushrooms, and the delectable brandied sauce that accompany this warm, homely chicken dish. Recipe: Wash, peel, and cut the leek and carrot into large cubes. Season the chicken pieces with salt and pepper. Put about 1/4 cup oil and the butter in a large dutch oven and warm it over medium heat. Add the chicken, starting with the legs, then the wings and fillets. Stir until you get a golden color. Add the diced shallots and stir. Deglaze the pan with the apple brandy. Flambe. Reduce heat before adding the cider and bouquet garni. Cook over medium heat for about 45 minutes. In the meantime, wash and chop the mushrooms. Put oil and butter in a pan and saute the mushrooms until lightly brown. Season with salt at mid-cooking time. When they are cooked, add the mushrooms to the chicken. Peel the apples and cut into 8 parts. Cook the apples in butter over medium heat until lightly brown. Reserve. Remove the chicken from the Dutch oven. Drain the sauce. Combine egg yolks and liquid cream. Add it to the sauce and cook over low heat until it thickens. If you prefer an even thicker consistency, add cornstarch to the cold liquid cream before cooking it. 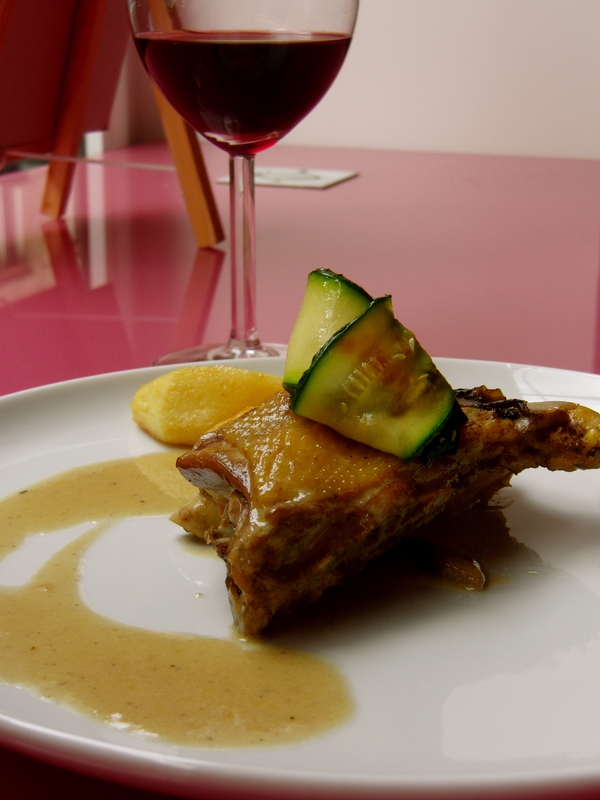 Pour the sauce onto the chicken and serve with apples and mushrooms. 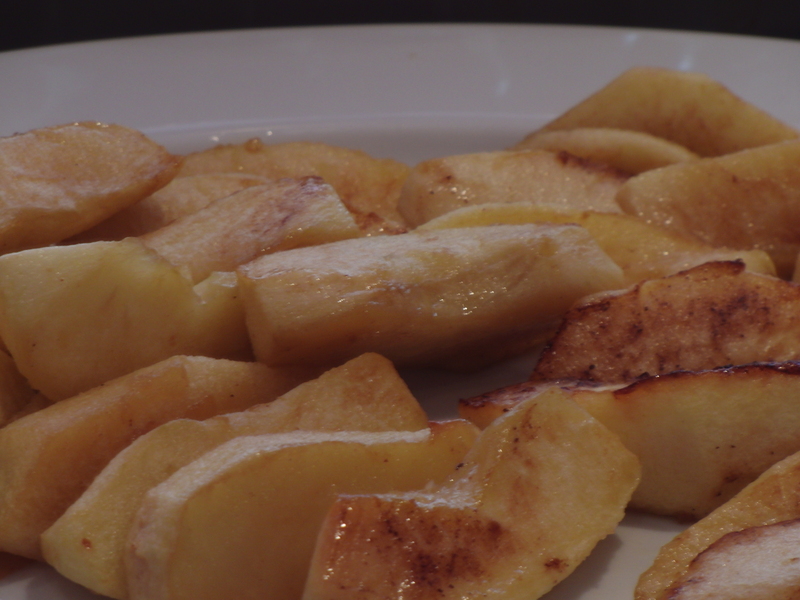 I made a meal out of the apples: they are fit for a dessert.